An often overlooked part of your home is the patio door, however, it’s extremely important because it can drastically change the look and feel of both the inside and outside of your home. Feldco offers gorgeous sliding patio door and French patio door options for your Madison home. Sliding patio doors are extremely common and probably the first thing that comes to mind when you think patio door. They move along a sliding track and offer fantastic looks and great security. Since your sliding patio door moves along a sliding track, it makes it extremely easy to open. This is a great option if you plan on grilling and will be moving things in and out – when your hands are full, you’ll still be able to open the door. Think of a sliding patio door like a large sliding window. That means our sliding patio doors have double pane, argon gas-filled glass and foam insulated frames. This protects your home from outside drafts getting into your home. Not only that, but you’ll save money on your energy bills. Thanks to your sliding patio door preventing drafts from getting into your home, your furnace and air conditioner won’t use as much power to reach your desire temperature. French patio doors are a little different than sliding patio doors. Rather than operating along a sliding track, French patio doors are hinged and swing open. 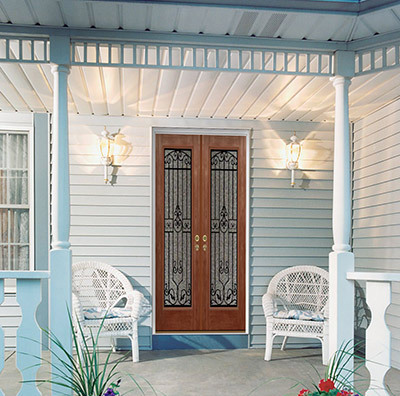 They’re designed similarly to our steel and fiberglass entry doors. When you choose French patio doors from Feldco, you know you’re getting the top of the line when it comes to elegance. It creates a grand entryway to your patio, sunroom or deck that can’t be topped by any other patio door style. One of the best features of a French patio door is how customizable they are, ecpecially when you choose Feldco. We offer many different color options, including wood grain finishes. There are also many hardware, glass insert and panel styles available. You can also customize how many operating doors you have and which direction they swing. This gives you the freedom to decorate your patio or room anyway you want without having to worry about which way your door will open. 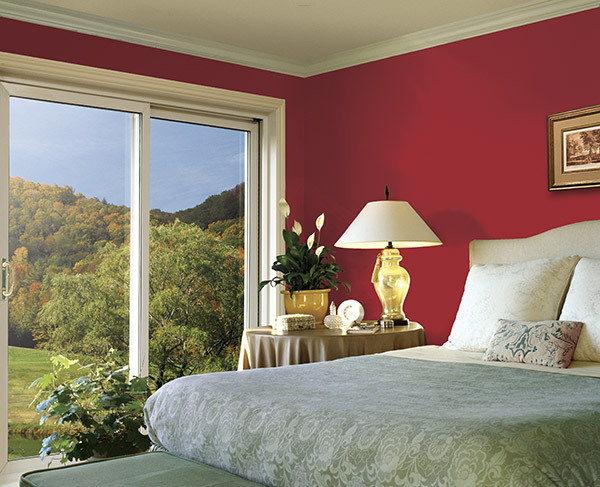 Patio door installation plays a major role in how well they function. That’s why it’s important to choose Feldco for your replacement patio doors. Not only do we offer a high quality product, but it’ll be installed by factory trained and certified professionals. Don’t wait any longer. Feldco is Madison’s number 1 patio door company. Get a free quote now and join over 350,000 happy customers who have trusted Feldco.